How much time will newly-elected Rockland County Surrogate’s Court Judge Keith Cornell spend in Surrogate’s Court? It is not up to the voters, but to Ninth Judicial Circuit Administrative Judge Alan Scheinkman. Every November, voters in Rockland County head to the ballot box to vote on Election Day. Most of the elections include races for various levels of judges on the county level. But does the public really get what they voted for? There are currently three different courts that voters elect judges for on the county level and another for Supreme Court judges where Rockland is one of five counties that include the Ninth Judicial District. Rockland has a County Court that handles criminal matters, Family Court that handles family matters, and a Surrogate’s Court that handles probates, estates, and adoptions. Unfortunately, few of the judges that the voters elected for these positions actually sit in these courts. For example, last month Keith Cornell was elected to become the next Surrogate Court judge and will be sworn in on January 1. However, according to a Family Court official, Judge Cornell is expected to sit mostly in Family Court come January, with less than half of his time devoted to Surrogate’s Court. Many involved in the Surrogate’s Court process have complained about the time it takes to get a matter heard and finalized. One of Cornell’s campaign promises was to improve the efficiency of the court, but it remains to be seen how much time he’ll have to actually do this. Last year, Rockland voters elected Larry Schwartz and Kevin Russo as county judges. Judge Schwartz is currently sitting in Westchester County since he used to work for the Rockland County Public Defender’s office and would be conflicted from presiding over many criminal cases. Judge Russo currently sits in Rockland County but he is not yet able to preside over jury trials. That leaves Judge David Zuckerman as the only judge that presides over criminal jury trials in Rockland. Judge Zuckerman is a Westchester County Court judge who commutes to Rockland every day. In May 2017, Ninth District Supreme Court Justice Linda Christopher was appointed by Governor Cuomo to fill a vacancy in the Appellate Division-Second Department. Christopher’s Supreme Court vacancy has not been filled, another reason for the constant shuffling in the Ninth District this year. 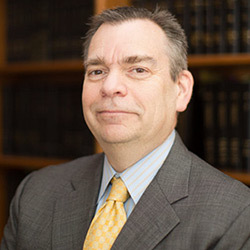 Judge Rolf Thorson, elected to County Court in 2014, was initially assigned to Westchester County, but now primarily handles Supreme Court cases. Rockland has two elected Family Court Judges, Sherri Eisenpress and Rachel E. Tanguay. Judge Tanguay is fully assigned to Family Court, but Judge Eisenpress has assumed many cases from Supreme Court, which is why Keith Cornell will be picking up the remaining Family Court caseload. When voters elect judges to Supreme Court, they are electing judges for the Ninth Judicial District, which includes Rockland, Westchester, Orange, Putnam, and Dutchess Counties. A judge elected can sit in any of the five counties, depending on the needs of the court. The person responsible for the judicial shuffling is Alan Scheinkman, who serves as the administrative judge for the Ninth. He ultimately determines who will sit where. Expect even more shuffling in 2018. By law, when a judge reaches a certain age they can no longer preside over cases. The governor then makes an appointment to fill the vacancy, a situation that will occur shortly when Judge Thomas Walsh reaches the age of retirement. Many attorneys and other officials are currently jockeying to be considered for the vacancy, once it occurs. The bottom line is come November voters can do little more than cross their fingers and hope the winners of county-level and Supreme Court judicial elections serve in their home county and are assigned to the positions they campaigned to fill.